Check out his social media here! Special thanks to Tavia for making the awesome podcast cover art! What Beyond the Spiral ? 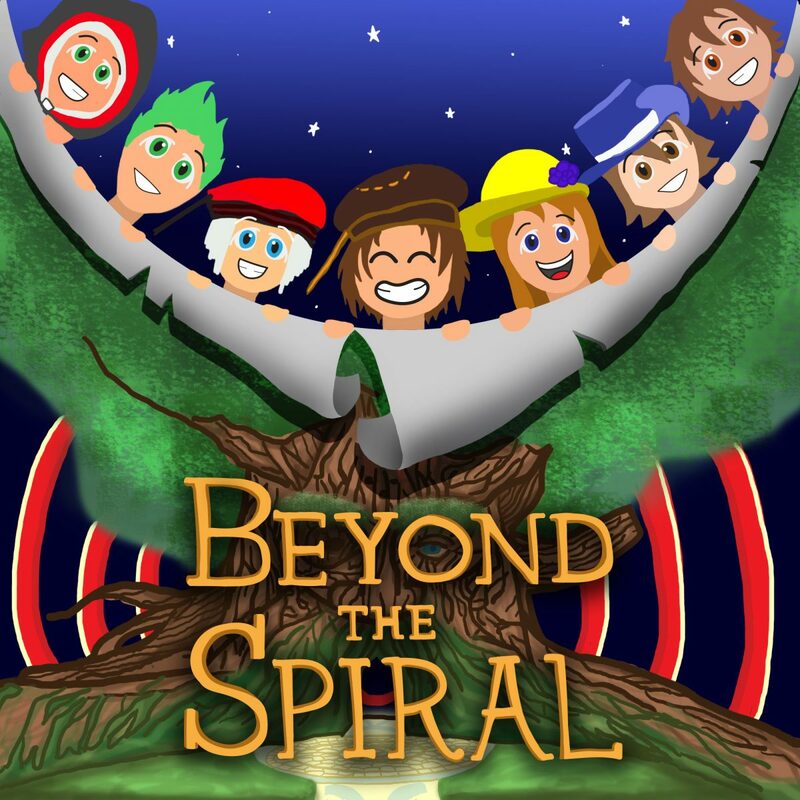 Beyond the Spiral is a podcast from DuelCircle, hosted by Thetechboy, we dive into the MMPORPG of Wizard101 and discuss almost everything under the sun. Such as game mechanics, story, updates, and the community overall. We will bring guests along the show from time to time such as DuelCircle’s Organizers: Crusader Kyle, Shadowfishy, SeffersTM, Vanessa Mythdust, Man0fbass ( now known as SlothPlaysNecro), Michael FireHammer. Regular staff may also appear. DuelCircle is planning to do more in 2018 then in previous years with more events, articles, content, and memes. Most recently we have announced (on Twitter) that we are doing an event on April 15th, 2018 called the Staff Showndown during Fansite Festival at 11AM PDT. This is different than last year’s event Spring Fling tournament as we have staff face down each other under our own rules. Also during Fansite Festival Ryan will be streaming the entire event from 9AM PDT to the last event. After Fansite Fest we will have many surprises to come. Sellers get hatching peppers which can be used to craft #9 potions, hatch egg elixir, and a new elixir to get your next hatch for free. You can only offer up 5 pers per wizard, when someone hatches there is an hour cooldown; if a pet is hatched 10 times it is removed from the market though you can put it back up after it is removed. Alternatively pets are removed if it doesn’t reach 10 hatches within a week. Crown pets require you to pay a fee, though recently (3/29/2018) KI has posted on Facebook that if you had previously discovered the pet (have it in your inventory, house, bank) and is added to your “Pet Tome” which is basically a Pet Pokedex the hatch doesn’t cost any more. Other then the crown pet issue, the overall UI isn’t the nicest as to find a pet you have to browse pet type aka the pet’s body by school or hybird, and look through all of those pets for what you may want to look for. Alternatively you can either look at all pets in the Petmaking Kiosk through type or petidree. Searching by level (Mega), by a single talent or up to 5 active talents, and by stats with exact stats in any or all types or by greater than or equal to less than or equal to. Awesome idea fix problems in games, monopolies, etc. There are two new Skeleton Key bosses one in Wizard City and one in Emperyea. Wizard City has various changes within the commons with builders, grass patches, a dock, fairgrounds grounds look different. Olde Town has it’s roads changed to be wider with sidewalks being narrower, tunnels look different. The Wizard Test Realm has a bunch of awesome stuff especially Petmaking Kios as being a game changer to the average wizard’s build for ease of accessibility. Really excited for this podcast as it is a way for me or really DuelCircle and community members to express opinions on the game and start up conversations. DuelCircle is excited to be more active this year with making a return to Fansite Fest this year with an interesting event, further details on other stuff will be recapped and discuss here. Anyhow thanks everyone for watching check us out at DuelCircle.com and our Twitter.